The Single’s day is very popular in China. But it has become even more popular abroad. Due to the major platforms that come in with myriads campaigns, customers can get their hands on wished products at the lowest prices. In some sense, the Double Eleven has become even more popular than the Black Friday in the US. But many online stores are trying to extend these holidays and start selling products at the lowest prices a week before the Double Eleven. 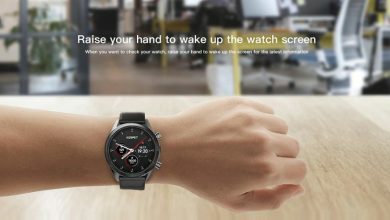 GearBest is one of the initiators of similar campaigns. Currently, you can acquire any product from this store for a quite low price tag. But we think you are familiar with it already. There is another interesting campaign we want you to pay attention to. It’s called GearBest Exclusive Brand Sale. This campaign allows buyers to save up to $50 on a single purchase. At the same time, you are offered products from quite respectable brands. This time, the GearBest Exclusive Brand Sale campaign refers to the brands such as Alfawise, go, comma, uTorch, Excelvan, zanflare, siroflo, Houztek, and DIGGRO. As you see, each of these brands is aiming at a certain niche. Probably, the only exception is Alfawise, which is currently following the same strategy as Xiaomi does. Though each brand from this list should be very attractive, we are recommending to take a closer look at the Alfawise offers. We will point out a few of them to prove you there are many interesting deals. First, the Alfawise A1 Mini PC is discounted to $359.99. It’s a high-end product with seventh-gen i Core processor and more. Next, we recommend you to acquire the Alfawise XBR-08 soundbar. It is now offered at $56.99. The selling point of this product is its ability to be combined or placed apart. Therefore, you can use it according to your taste and preferences. Actually, there are too many interesting offers and they come our way not only from Alfawise. So you’d better take a look at the GearBest Exclusive Brand Sale campaign yourself.